Search, compare and book for Campervan Hire in Cairns. We Guarantee the Best Rental Prices in Cairns - if you find cheaper, let us know! Looking to Hire a Campervan in Cairns? Tropical Cairns, where the sun shines brighter and the beer tastes better! 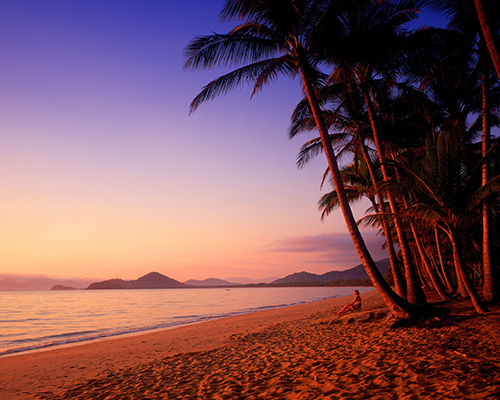 A Campervan Hire Cairns roadtrip in tropical North Queensland is a must. 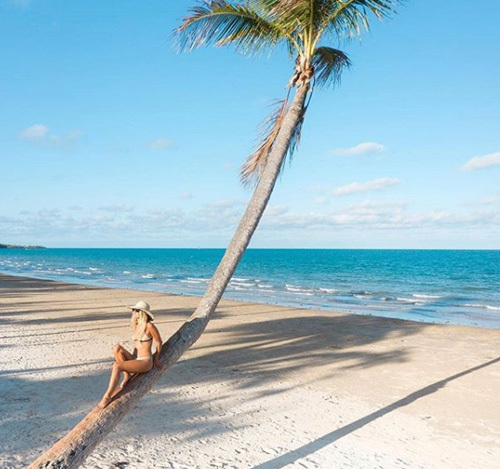 With so much to see and do, including Cape Tribulation, The Whitsundays and the Daintree Rainforest, Cairns is an ideal holiday destination. If you'd like to explore Cairns and The Whitsundays on your own terms, and with no set itinerary, then get in touch and hire a camper from the friendly folks at Compare Campervan Hire Cairns. Compare Campervan Hire offers fantastic value for your next campervan rental. Why not grab a camper or 4wd for your next Australian holiday? With 50+ rental locations around Australia, Compare Campervan Hire is your number One choice for rentals! From Cairns: About 140kms by Campervan. A must-see stop-off on your great campervan hire roadtrip along Queensland's coral coast. 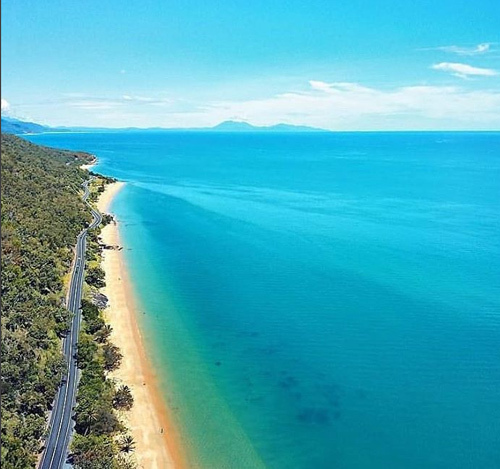 Named for the Aboriginal mission established in the area in 1914, this 14km-long strip of golden sand is fringed by coconut palms and World Heritage Listed wet tropics. Take a stroll on the Ulysses Link Walking Trail, a 1.2km pathway along the foreshore that features local history, sculptures and mosaics. The Porter Promenade, right near the visitors centre, has woodcarving exhibitions and a rainforest arboretum. It'll be hard to ignore the inviting blue water, so hire a kayak and paddle out to the nearby islands. You can also go on whitewater rafting tours of the Tully River from here. From Cairns: About 75kms by Campervan. 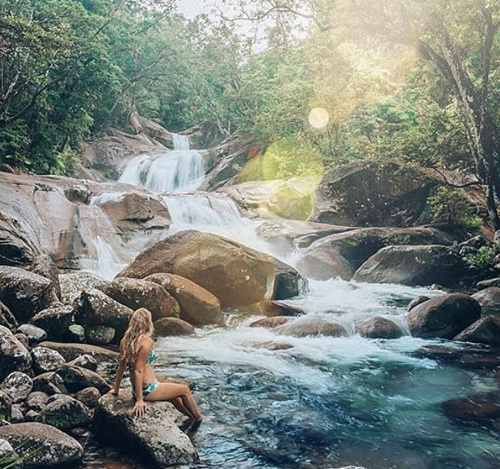 Part of the Wet Tropics Heritage Area, Wooroonooran National Park boasts the two highest mountains in Queensland, wild rivers and spectacular waterfalls. If you're in the area between April and July, whitewater rafting down the North Johnstone River is an awesome experience, where rapids up to Grade 5 rush with extreme force. Rafters are flown to the starting point by helicopter and traverse lush wilderness for four days. There are also various walking trails, including one of the spectacular Josephine Falls and a campground in the Palmerston section. Park your campervan rental and get on foot baby - it's hiking time! From Cairns: About 80kms by Campervan. Journeying a little inland from the coast in your hire campervan, the Atherton Tableland is something you don't want to miss. The 900m high tableland is a productive farming district, thanks to high rainfall in the area. It is this subtropical climate that nurtures the unfortunate, yet remarkable strangler fig, which subsumes its host, sending down a curtain of roots. A spectacular example is Curtain Fig Tree, near Yungaburra, with aerial roots in a curtain-like formation. You'll also be amazed by the volcanic lakes and waterfalls, namely Millaa Falls and Zillie Falls. If you're not averse to a bit of darkness and claustrophobia, enter the Crystal Caves, an underground chamber of tunnels lined with crystals, fossils and fluorescent minerals. This is where you'll find Cheap Campervan Hire and loads of party bars! This tropical destination is the proud custodian of one of the world's natural treasures - the Great Barrier Reef! Cairns is also a vibrant, cosmopolitan city, brimming with cafes, shops and some great nightlife. Near the heart of the city is the Flecker Botanical Garden, 38ha of lush greenery, housing plants that you can't find anywhere else in Australia. 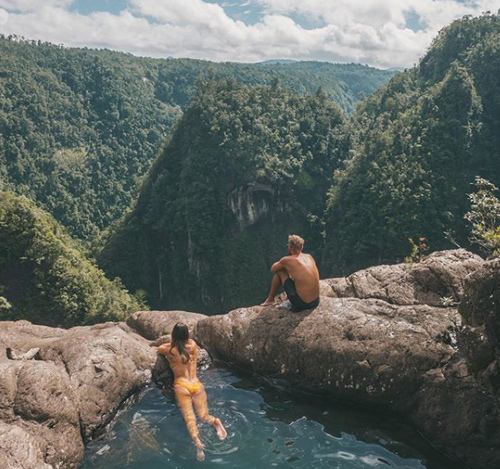 There's plenty of activities to enjoy in Cairns including the popular Skyrail Rainforest Cableway, offering amazing panoramic views over Cairns and the beautiful Barron Falls, which drops you right on Kuranda, a small village packed with restaurants, shopping and art galleries. Almost every campervan hire company in Australia has a rental office in Cairns, and this competitiveness means that you'll often get amazing hire deals (contact Compare Campervan Hire for the absolute CHEAPEST CAMPERVAN HIRE IN CAIRNS!). From Cairns: Park your Campervan and start swimming! It's difficult to sum up in words the sheer beauty that is the Great Barrier Reef. This vast, breathtakingly beautiful marine environment features over 900 tropical islands (only 22 of which cater to visitors), aquamarine waters, rare and brilliantly coloured corals, seagrass beds, fish, and sea-going mammals and birds. It is considered to be one of the world's great destinations for diving, sailing, fishing, swimming, windsurfing and kayaking. Scientists believe that coral bleaching, a result of global warming, is slowly having an impact on the reef, so you better see it now while it's still thriving. If you travel all the way to Australia, you simply must do 2 things - hire a cheap campervan AND visit the Great Barrier Reef! Looking at Port Douglas today, it's hard to believe it was once a sleepy fishing town. Lying on the serene waters of a natural harbour, the port is now an internationally-renowned tourist destination. There's not too many campervan or car hire places in Port Douglas, so you'll need to pick one up in Cairns. Four Mile Beach is a fantastic place to feel the sand in your toes, although watch out for marine stingers in the summer months if you have a dip in the water! 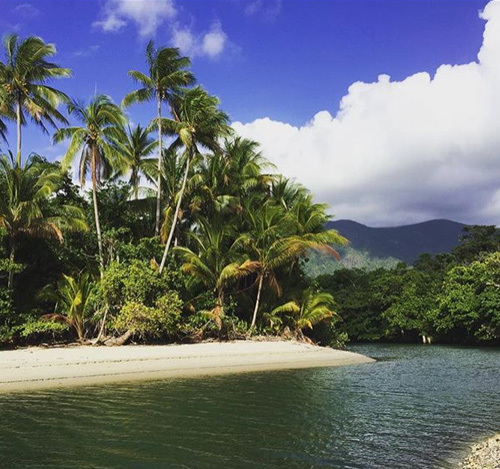 Cape Tribulation is a rich mix of coastal rainforests, mangroves, swamp and heath. There's also a few great campgrounds to park your campervan for the night too around Noah Beach. There is so much to of Australia to see and so many ways to see it. Today, even the most remote sections of this vast continent are accessible, particularly to campervans. For some, exploring Australia will mean touring the main highways and staying in motels. Others will tow their accommodation with them in motorhome hire vehicles. Others will opt for a campervan rental with sleeping and cooking facilities, and yet other group will choose to be the true adventurers, will load a tent on top of the 4x4 hire and go bush. In all cases, some careful planning will enhance the journey immeasurably. Since driving conditions in the outback vary greatly, you should always consider the right campervan hire Cairns for your travel. Campervan rental are the best when it comes to exploring Cairns. Check out our best pricing and book your travel with us. We provide the best campervan hire pricing in Cairns for budget backpackers in Australia. The Gold Coast is just an hour south of Brisbane (about 100kms). Another hour south is Byron Bay (about 80kms south of Coolangatta Airport). Perfect for a week of sun, surf and good times, South-East Queensland and the North-East Corner of NSW is a tropical paradise with plenty to see and do. 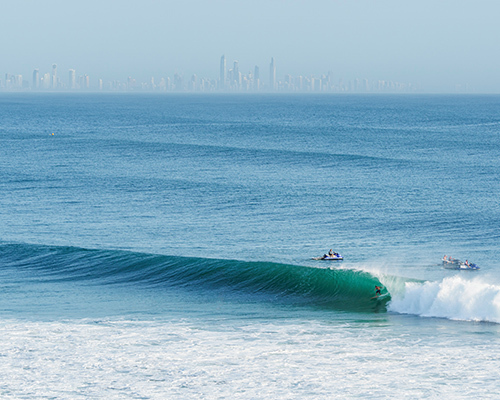 Snapper Rocks in Coolangatta is one of the greatest surf breaks in the world. Every March the Quiksilver Pro surf comp is on, bringing the worlds best surfers to the glitz and glamour of Australia's Gold Coast. Campervan Hire Cairns from $29 Per Day and explore Australia's beautiful East Coast! Campervan Hire Cairns from $29 Per Day and explore the Great Barrier Reef and tropical North Queensland!